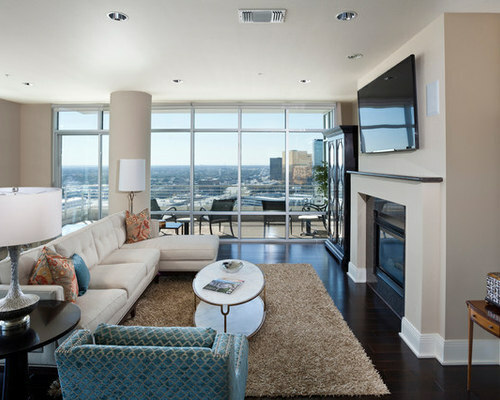 This project involved furnishing an empty high rise condominium with a 360 degree view of Dallas to reflect the client’s soft contemporary and transitional taste. 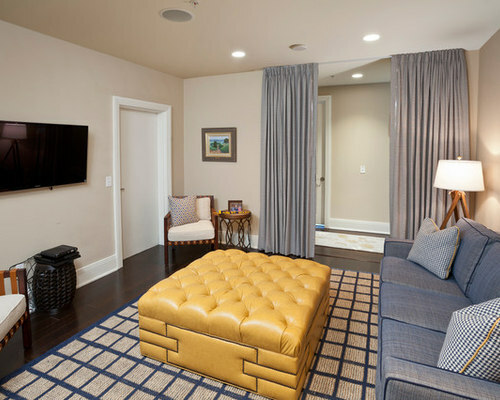 Our goal was to create an ambiance of casual sophistication that also conveyed a calm, relaxing environment for the homeowner. 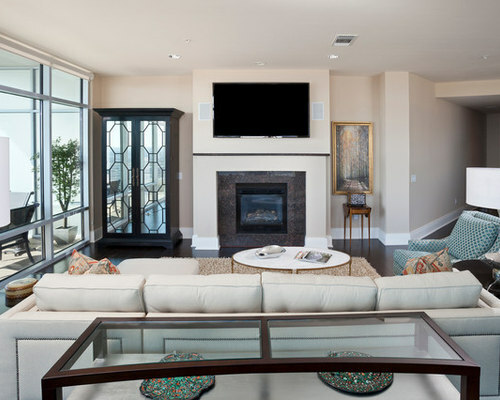 We furnished the open floor plan, containing entry, living and dining areas plus three bedrooms. One bedroom featured a multi-purpose set up, as it doubled as a den for her teen son to hang out with his friends. 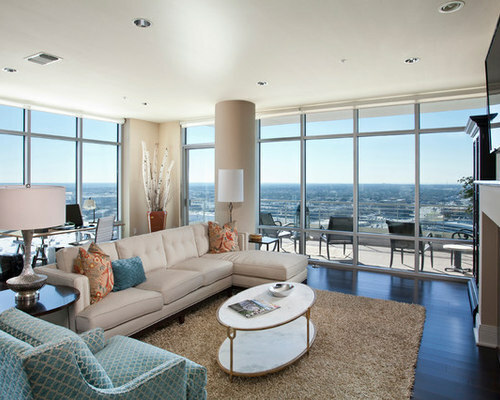 Custom furnishings are unique and were sourced from top quality manufacturers. Spacious living area with plenty of room for entertaining. 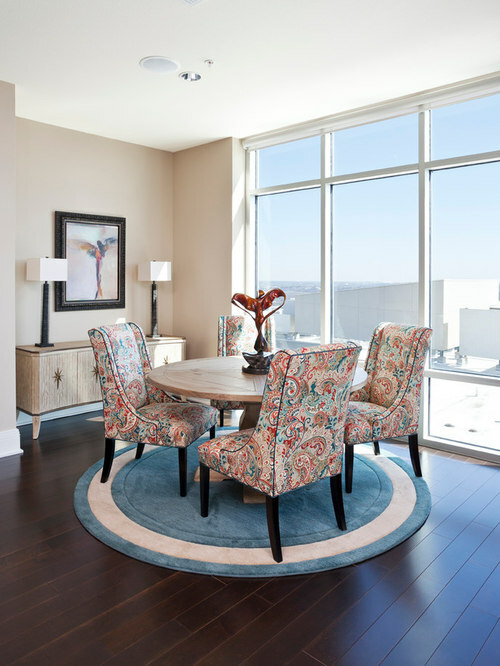 Transitional elements are blended with persimmon, teal and ivory tones for a fresh, cool look. 360 degree city view remains unobstructed with this design. A beautiful antique mirrored armoire from Hickory Chair flanks the fireplace to enhance and quietly reflect the window views. 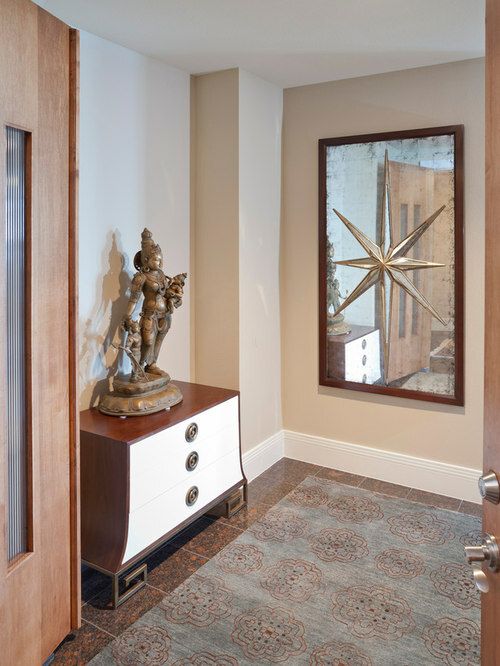 John Richards starburst mirror, authentic indian bronze sculpture and two tone chest give an elegant, globally inspired welcome in this entry. The dining area carries a similar color scheme into the adjacent living area. Curved lines in the chairs, table, credenza and rug bring a needed contrasting complement to all the angular lines of the room footprint and window framing. 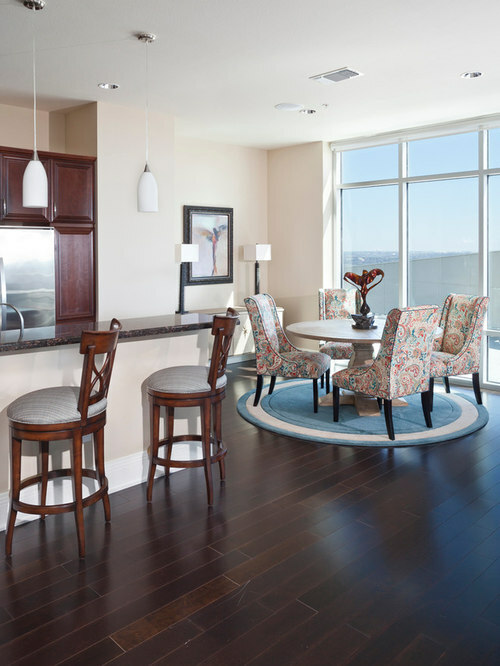 Swivel barstools allow flexible visiting positions to the dining room, kitchen and living areas. 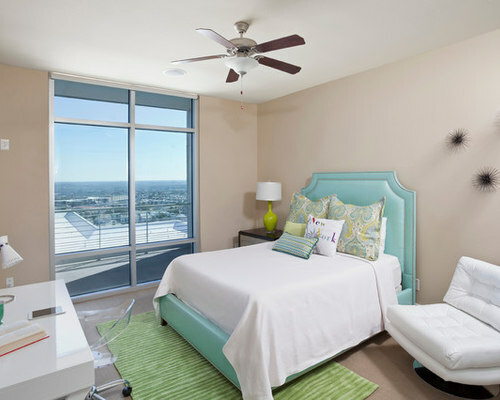 Teen girl’s bedroom that incorporates soft hues of teal and lime green with contemporary accoutrements. Teen boys room serves as a den to hang out with friends to watch TV, play games and visit. At night, its sofa bed and ceiling mounted drapery convert the room to a bedroom with privacy. Drapery is self-lined so that each side is decorative from any viewing angle. The ceiling mounted feature ensures room black out as well as a clean unobstructed look in a small area.